This chicken dish is a version of one that my mama Helene used to make when I was growing up that we used to call “Helene’s Special Chicken.” It’s a very simple and easy dish but it has a ton of flavor. Pair it with veggies, potatoes or even slice it up and add it to a fresh green salad! It’s just so good. Yum! 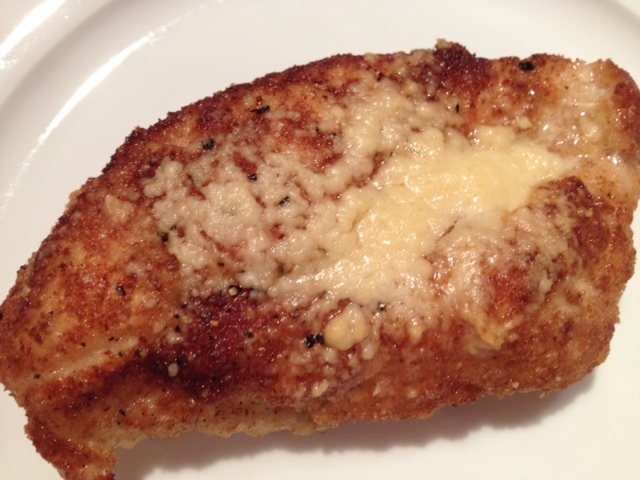 Begin by breading the chicken breasts. 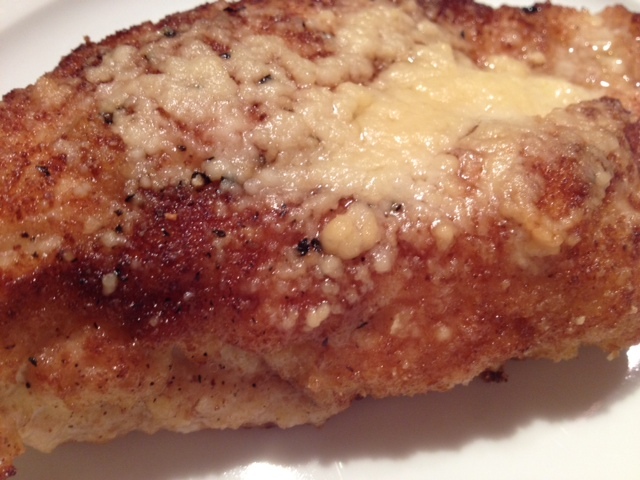 Coat them in egg, then coat them in bread crumbs. Add olive oil in a large pan on the stove. Add just enough olive oil to generously coat the bottom of the pan. Heat the oil on medium/high heat, and when the oil is hot, add two of the chicken breasts and cook for 2-3 minutes on each side until browned. Then repeat with the other two chicken breasts. 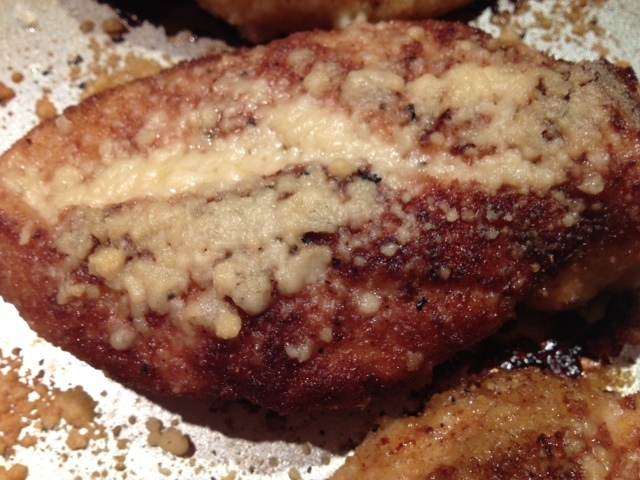 Put the browned chicken breasts onto a non-stick cooking sheet and season with salt and black pepper. 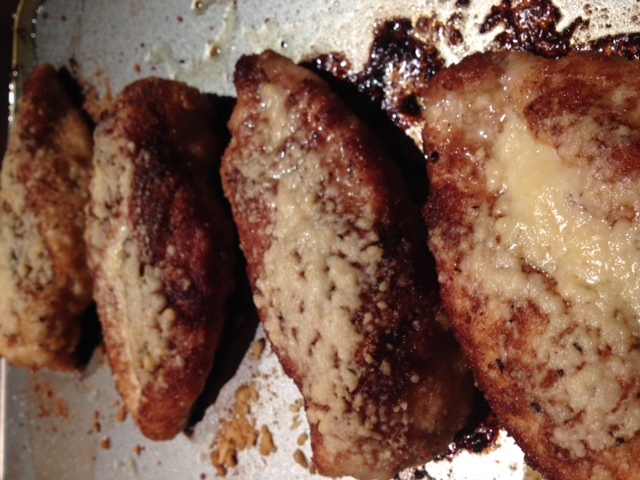 Top each chicken breast with 1 tbsp grated parmesan cheese. Cover the sheet in aluminum foil and cook in a 400 degree oven for 10 minutes. After the 10 minutes, remove the aluminum foil and cook for 10 more minutes uncovered. ← A Glamorous Downtown Sushi Spot.